Prince Mahesh Babu, who is well known for his kind and unselfish regard to his co-artists and technicians of film industry, praised the Bollywood youngsters Sooraj Pancholi and Athiya Shetty. Both these youngsters made their Bollywood debut with the recently released romantic entertainer, Hero, which was directed by Nikhil Advani. The movie was produced by Salman Khan. 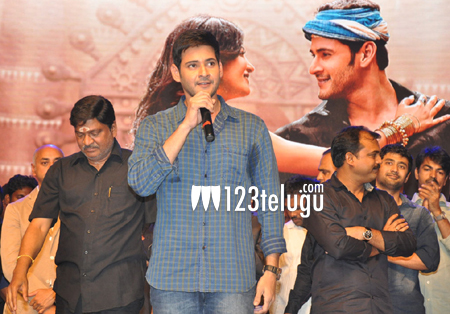 Mahesh Babu watched the film recently and got impressed with the performances from the lead pair. He took to Twitter and thanked Salman for introducing these two stars. He also congratulated to the entire team for their job.